Can cats eat carrots? This question might have ringed in your head. Cats normally do not eat anything other than protein from the animal source. But, most indoor like to try foods that their owner is having. So, you will find your cat begging you to share some of your food. That could be fruits and vegetables or something else. Many cat owner share vegetables like carrots, broccoli, cauliflower, and peas and other vegetables with their cats. 1 Can Cats Eat Carrots, Broccoli, And Other Vegetables? 1.5 Can Cats Eat Vegetables? Here A List of Best Vegetables For Cats? 1.8 Can Cats Eat Green Beans? Yes! 1.9 Can Cats Eat Zucchini? Yes! Can Cats Eat Carrots, Broccoli, And Other Vegetables? You might ask are these vegetable safe for your cat. You might get an idea of sharing some vegetables with your cat. How many carrots, broccoli, and any other vegetables you should share with your cat? Worry not, we are to share complete research guide how much vegetables you could give your cat along with her cat food on a daily basis. So, Let’s jump into it. Carrots are rich in a lot of vitamins and minerals. It has something called beta-carotene. This is a source of Vitamin A, known to be good for our vision. This could benefit both the cat’s eyes and human eyesight. But, carrots are very crunchy. Can they eat chew crunchy carrots? However, you should cook the carrots before giving it to your cat. This will make it easy for your cat to consume as you could enjoy seeing her crunching it. So, the answer is yes they can carrots. Carrots are not toxic to cats as they could eat this vegetable without issue. Carrots are good for humans. But, do they provide the same nutritional benefits extend to feline friends? Carrots, scientifically from the Umbelliferae family. They are one of the most popular vegetables that you could find on the market. Even you could find them probably in your kitchen right now. This long orange vegetable is what most people enjoy eating the most. We could eat them both cooked or raw. But, your cat may not like raw carrot. It is recommended to cook to before you share it with your cat to avoid any problem like chocking and stuck inside the throat. And, You should always make small pieces of carrots or any vegetables before giving to cats. Carrots are rich sources of carotenoids. They are more than 100% of your daily vitamin A requirements in a single serving. Carrots are also excellent sources of vitamins and minerals, They have vitamin K, vitamin C, B-family vitamins. They also contain potassium, manganese, and copper, as well as dietary fiber. As per research, there are no toxins found in this vegetable will harm us. And, they pose very little risk to our human health. They allergies to carrots are the quite rare case. But, Is the same thing true for our cats? It’s very natural for your feline friend to be curious about what you’re eating. But there are many human that cats can’t eat. So it is very wise to check before sharing that food with your kitten from your plate. But, when it comes to carrots, you don’t have to worry much about if your feline friend eating them. Because they are not toxic or dangerous to our feline friends. However, It is recommended only feeding cats cooked carrots. The raw form of carrots can be very crunchy. This will make it difficult for your cat to chew and digest the fibrous vegetable. 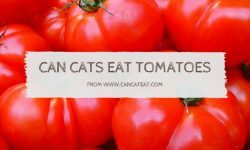 Not only they are not bad for cats, but they one of the popular vegetables can actually give your cat a healthy boost to their own system. They are good for improving vision due to the high presence of carotenoids in this vegetable. Beta-carotene found in carrot is transported to the liver. There they are turned into vitamin A, a powerful antioxidant compound. However, the story is different for cats. Their body is not as big as humans. They are only able to convert small amounts of beta-carotene into vitamin A than humans. Storing vitamin A for growth and cell reproduction is the key benefit. Therefore, carrots are particularly a good vegetable to give to young cats while they are still growing. All felines including cats do have a superb vision. They could even see very well in the dark. But, Your cat still requires vitamin A to stay healthy. You could add the occasional carrot as a treat to your cat diet or you can also an awesome homemade cat food with chopped carrots. That way you are ensuring your cat’s super-vision stays just as strong as it is. For humans, high concentrations of vitamin A could help to improve vision and helps to clear up macular degeneration. But, the same isn’t true for our feline friends because they can’t convert too much beta-carotene compare to humans. If your feline friend is suffering from cataracts of glaucoma. Then, you could add some shaved carrots to their daily diet. The fiber content found in carrots can also be good for your cat’s digestion. You could add some small pieces of cooked carrots in your cat’s wet food, this can help to improve your cat’s gastrointestinal function. So, There is no harm in feeding your cats carrots. But, as like any type of “human” food that you give your cats, always give them in moderation every now and then. You might ask can cats eat carrots and green beans. The answer is yes. You can add carrots and green beans as a side dish for your cats. And, sometimes you can give them as a treat. As always do not make it into a habit. But always feed her high-quality cat food before giving any kind of other foods. There is some vegetables and fruits are not recommended for your cats to eat. But, there are many vegetables and fruit are safe for our cats. If you are thinking about giving your kitty some of the extras food from your plate. Then, you should first make sure you know what foods are okay for your cat, and which foods aren’t safe for her. Here a list of food that is and isn’t okay to feed your cat. Note: Remember, each cat is different. They may need different food and diet requirements. So, you should contact your veterinarian before changing your cat’s diet. Cats are different than humans. So, There are certain things they can’t eat what we eat. Cats are obligate carnivores animal. This means that they need meat from other animals in their diet. Meat is a great source of protein for your cat. However, too much fat is not good for your cat can give your cat a stomachache. So, you should make sure to trim off the excess fatty out of portions. Then you cook all meat properly before you feed it to your cat. * If you are considering a raw diet for your cat because of its health benefits. You should consult a veterinarian before making any decision. We have discussed, cats are carnivorous animals. So, Do not add too many veggies in your feline diet. But, still, you add some veggies as a good snack to help her with digestive issues. *Don’t feed your feline spinach if she has had any urinary or any kind of kidney problems before. Because spinach can cause crystals to form in the urinary tract and the result could be bad. Cats are experiencing an obesity problem in the United States. The problem is high carb foods. You should avoid giving her high carb food. Sometimes a little bit as a treat every now a then is okay. Some cats will ignore to eat grains and related foods. So, you could try to give her a small amount before giving the snack. Some cats don’t enjoy the sweet flavor. But if your cat is one of those love to try new things. She might try fruits. And, you can make some fun treats with fruit. Fruit can also help your kitty with digestive issues. As become cats become older, They become lactose intolerant, so, you should make sure to only give small amounts of dairy foods to your cat. You can give some fish to your cat. But, you should make sure to only give it in small quantities. If your cat had too much fish can deplete your cat’s Vitamin E.
If you are giving human foods like vegetables and fruits. It is completely fine. But make sure you are giving only 20 calories per day to your cat. Can Cats Eat Vegetables? Here A List of Best Vegetables For Cats? Broccoli is one of the most popular vegetables that we normally eat. But this could be one of the best superfoods for cats. The leave of this vegetable well session is also good. Just like carrots and green beans they are okay for cats to eat. Yeah, That’s right. it’s a superfood for felines friend. And, there is a good reason for it. Broccoli is extremely rich in a variety of antioxidants. They contain high amounts of dietary fiber. Broccoli can benefit constipated felines or cats with digestive system disorders from the additional fiber. And on top of that, there is the abundance of antioxidants, which will also be beneficial to our cats. Your feline friend can safely munch on some steamed broccoli mixed with typical cat food. There is one downside too much broccoli could be bad for cats. Because too much of its fiber will cause diarrhea to cats. Green peas are among the top healthiest vegetables for us. But, are they also good for our cats. Yes, they are safe for cats. But, If you have doubt about it or believe us, then you should do a quick research of the ingredients in high-quality cat foods either canned, in the form of kibble. You will find out that peas are one of the most popular veggie ingredients in the cat food. Pea is high in Magnesium, calcium, iron, manganese, zinc, potassium, copper and phosphorus. And, Pea has healthy amounts of vitamins A, VitaminK, Vitamin B1, Vitamin B2, Vitamin B6, and Vitamin C. If you are mixing up some steamed peas in your cat’s food will add some carbohydrates and protein to her diet. Another way you could offer green peas to your cat is to puree them prior to serving them. Can Cats Eat Green Beans? Yes! Great beans are one of the good vegetables that can help particularly overweight cats. Some cats loves to eat green steamed beans. They are 100% safe for our cat’s organism. By the way, they are rich in dietary fiber, as well as in protein. You can use the cooked green bean as a healthy alternative to traditional cat treats. Green are a good source of thiamine, riboflavin, calcium, magnesium, potassium, vitamins A, vitamins B6, vitamins C, and vitamins K. Make sure cooked beans are unseasoned and don’t have any dressings. This way, they will be perfectly safe for your feline friend. Similarly to peas, you can serve them to cats as a whole or puree, but only in moderate amounts every now and then. Can Cats Eat Zucchini? Yes! According to the ASPCA, zucchinis are non-toxic to cats. This particular vegetable is one of the best weight loss foods to give to a furball. Diabetic or overweight can get benefit from eating zucchinis. Because they’re low on calories. They contain a good source of vitamins C, vitamins A, vitamins B6. They are also high in minerals such as magnesium, iron, calcium, potassium and dietary fiber. Some chopped steamed zucchinis can easily be mixed with wet canned cat food. And, you can mash the zucchini into a puree and mix it with the quality cat food beforehand. Another famous human superfood can also be beneficial to cats is spinach. This vegetable is a good source of the plethora of vitamins and minerals. There are big advantages because it can serve as an anti-inflammatory tool for the cat’s digestive tract lining. However, spinach could be dangerous for some cats. If your cat is suffering from urinary tract problems then you should avoid feeding spinach to your cat. Because It contains calcium oxalate. Even though the quantity of calcium oxalate is very low. It is better to avoid taking any risk for your cat. Because they can help to form harmful crystals in your pet’s urinary tract. If you find your cat eating some cauliflower that you left on your plate. Don’t get panic on this. A small amount of cauliflower once in a while is perfectly fine. But, You should steam or boiled cauliflower rather than the raw. 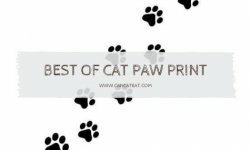 This will help your cat to digest them easily. This leaves and plant are safe for most pets like cats and dogs. Cauliflower comes with many of health benefits. This vegetable is a good source of vitamins, proteins and many essential minerals alongside dietary fibers and antioxidants. If you are adding cauliflower to their diet in moderate amount could be beneficial in minimizing comforting arthritis and inflammation particularly in the older breeds. This veggie is not toxic to Cats. But, if your cat overconsumes this veggie can result in digestion problems like gastrointestinal nausea, disorders, and vomiting. If your cat shows any such symptoms after eating cauliflower, you should take an advice from a vet. In the wild cats are mainly carnivorous. This means their primary ingredient in their diet is other animal meat They do not eat grains, fruit or vegetables in the wild. Only 5% of their diet is carbohydrate for the occasional chewing on grass. Cats could eat vegetables expect certain one like Grapes, raisins, garlic, onion, avocado. 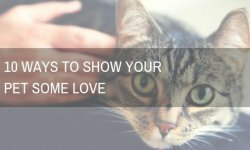 We advise you to consult with your vet before feeding anything new to your cat if you are going to give her for the first time. There are many types of vegetables you might be feeding to your cat. Things to keep in mind that our cats are a carnivore. A high-quality feline diet features meat as a primary food item. But, you will find vegetables must be serving only as an additional bonus. But, if your cat is thriving on the only vegetable-based die, then this will lead to a number of health problems. Overall vegetables are safe for cats to expect few of them, but moderation is the key. 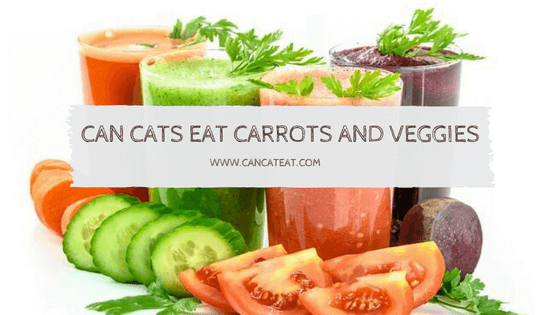 Hope This article helps to get your answer related to “can cats eat carrots” and “can cat eats broccoli” and the related question like other veggies such as peas and cauliflower.